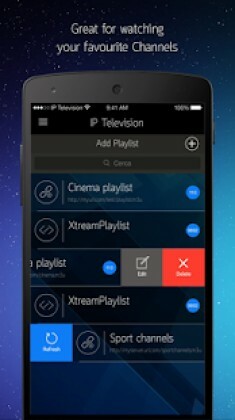 IP Television – IPTV M3U is a Video Players & Editors android app made by Paolo Rossignoli that you can install on your android devices an enjoy ! IP Television allows you to watch globally channels, international broadcasters , thematic channels and on demand on your Mobile and Tablet. Everywhere you are! You only need an internet connection! IP Television is very easy to use and offers many features. 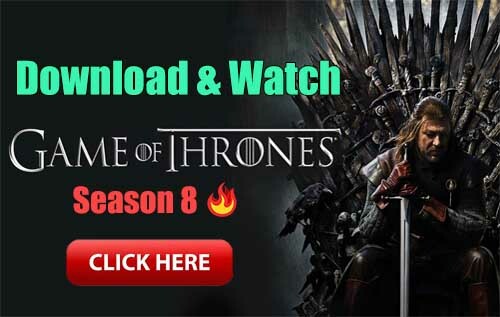 You will enjoy watching your favorite football team, Moto GP, series, soap opera, movies and children channels. It is the best choice because it’s constantly updated and offers a lot! ALL THE CHANNELS YOU WANT. You can create or upload all the channels and playlists with IP Television. You need to select the language, upload the channels automatically in the app or upload your free or paid playlists in m3u8 format. These are files in URL form. You can browse in Google, looking for “m3u iptv”. If you have a paid playlist such as Xtream Codes, you can upload it by logging in with your credentials. IP Television has an intuitive interface and allows you to easily manage and update the lists. – Launch and manage your channel playlists. – Use the scrollbar to watch video on demand. – Based on libVLC framework with LGPL license. – Subscribe to EPG (only with compatible playlists with CrossEPG – Rytec), the Electronic Program – – Guide that allows you to watch your TV programs and to know what is transmitted and on which channel. The first month is free for the new subscriber. – Turn on the “ Zapping” function to watch the channels in a mini screen while you scan the playlist to choose what to watch. Every IP Television new version is enriched with new features. When you buy IP Television for a device, for example for Tablet, you don’t need to pay the app for Mobile or Android TV: you can upload it free of charge. This is the same also for every new app update. AN APP WITH A TEAM AND A WEBSITE. 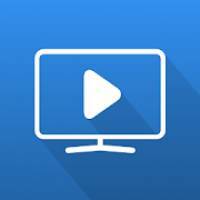 You can find all the news, the guides, the tutorials, the easy explanation how to use IP Television and its features on the website www.iptelevision.tv and on the Facebook page. You can also make questions and comments, because a team is ready to answer and give an accurate and reliable service. • Multiple playlist € 1.99 – have you more than two playlists? Here is the extension for you. Price may vary by location. Subscriptions will be charged to your credit card through your Google Play account. Your subscription will be automatically renewed unless is canceled at least 24 hours before the end of the current time. You will not be able to cancel the subscription once is activated. You can managed your subscriptions in the Account Settings after the purchase.